Will the CDC’s $54-million anti-smoking campaign work? Today the Centers for Disease Control and Prevention launched a campaign to encourage smokers to quit. 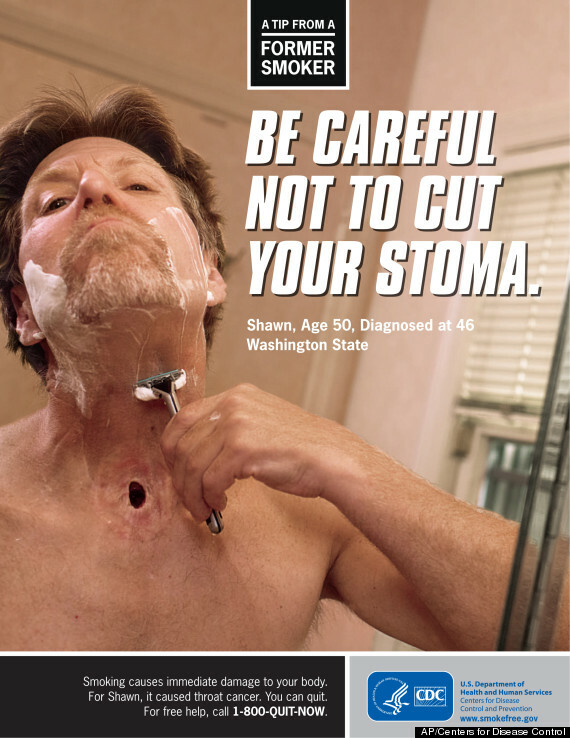 A new CDC national tobacco education campaign called “Tips From Former Smokers” features real people who are living with the complications of smoking-related diseases. This campaign encourages smokers to quit. They anticipate the 12-week campaign will get 50,000 people to quit. You can find the other videos here. I’ve never smoked a cigarette and I’m confident that I never will. I HATE smoking with a fiery passion. I loathe secondhand smoke. I think it’s the most unattractive habit a person can have and I’ve never understood the appeal. Nothing bothers me more than parents who smoke in the presence of their children. Now, I’m not one to preach to others to quit. It’s your life and if you want to end it prematurely, that is your prerogative. But I imagine people who smoke know how bad it is for them, right? Is it necessary to spend $54 million to show them just how detrimental it can be?